As it stands, Yahoo Weather is a gorgeous app. We have last year’s complete overhaul to thank for that. However, Yahoo thinks it can do better. Starting today, high-quality animations introduced on iOS in September are making their way to all Android users with the app installed. Weather conditions in your saved locations are now animated, Yahoo says, by “leveraging bleeding-edge graphics technology typically only seen in video games.” Hyperbolic? Perhaps, but the new animations – fog, rain, heat, snow, lightning, and frost – are admittedly pretty. The update is rolling out through the Play Store. 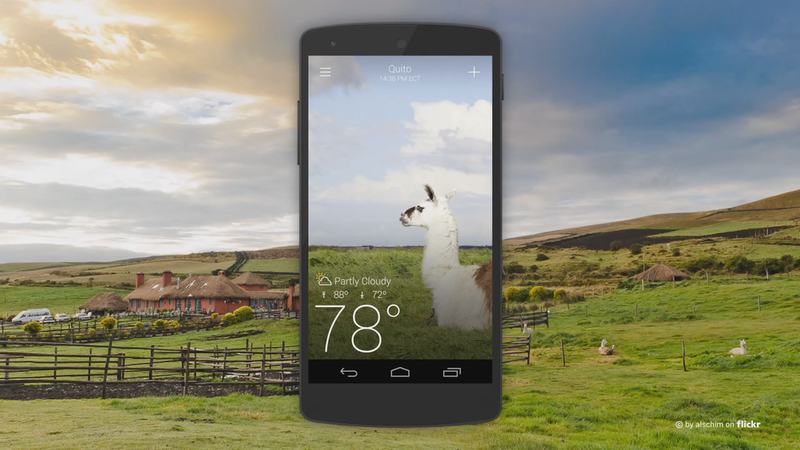 Yahoo Weather is a free download.